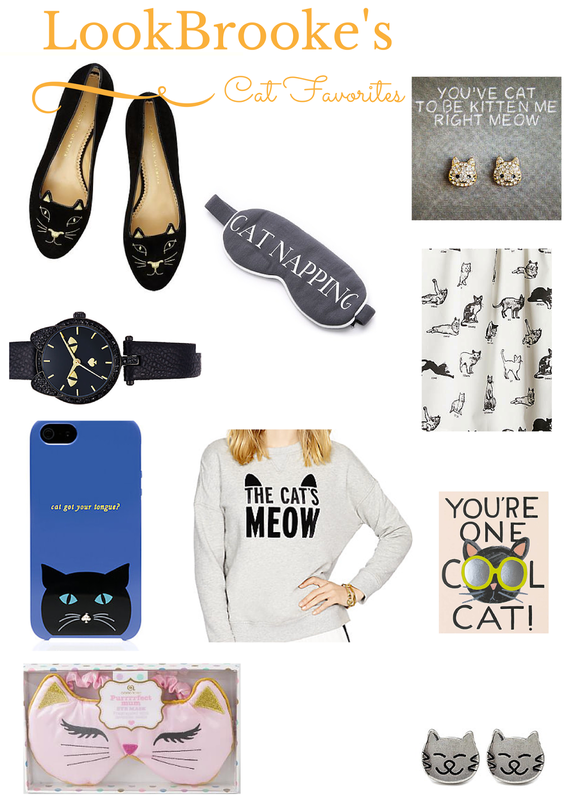 Inspired by my best friend ((and current major shopping addiction)) I present to you a few of my favorite cat centered products of this season. If you're ever wondering where I am… check any mall or outlets and there's a good 99% chance you'll find me. I have this insane habit right now to go to stores everyday (don't worry I'm not always buying anything) and I go around imagining different outfits that could be put together or decorating my dream home (shout out to TJ Maxx). I have one other bad habit though, you will usually find me snapping pictures of anything with a cat and sending it via text to my bestie Jessie. Aw, this makes me miss my cat maggie! I love that cat watch by Kate Spade, too cute!! You are speaking my language with these kitty accessories! Need them all! I'm a cat person so this post is perfect for me! I love the flats!